This was the easy part. Having an affinity for Asian inspired decor anyway, I was able to pull a bunch of beautiful dishes and things from around the home to decorate for the party. My parents even had a bunch of beautiful lanterns that we hung around the room with fishing wire. So remember that party decor doesn’t have to go all out. Finding great items from around the home and help inspire your party! It’s not a party in our house without a little creativity! 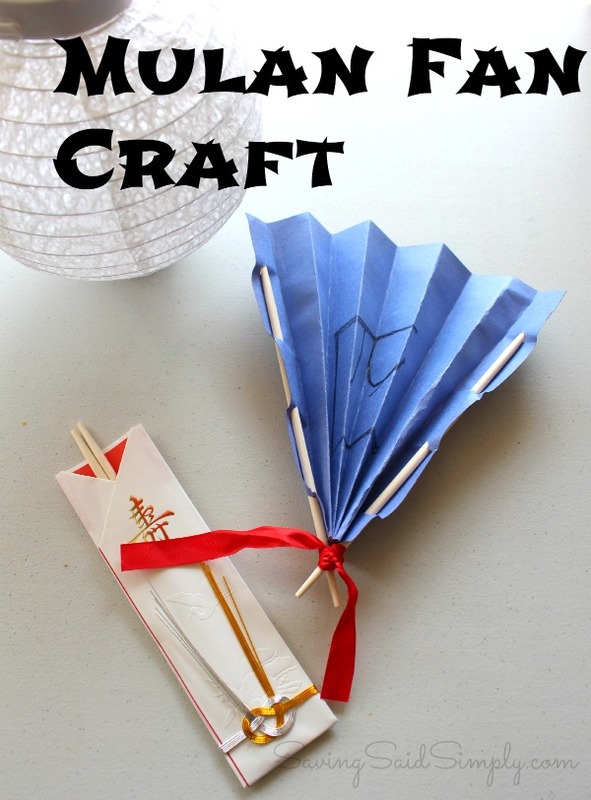 We made our own Mulan Fans with this easy kids craft idea! 1. Using the hole punch, make a series of 3-4 holes down both of the short horizontal ends of the construction paper. 2. Use the crayons to decorate your fan. We used the Chinese alphabet to write our names. 3. Fold the fan in small 1-2 inch thick strips, alternating back and front. 4. Place in your chopsticks into the holes, weaving in and out. 5. Secure your fan by bringing both ends of the chopsticks together. Tie with ribbon. Cherry Blossoms are a major part of the Mulan movie. I wanted to make sure that I had a great inspired drink that had all of the colors of the Cherry Blossom. 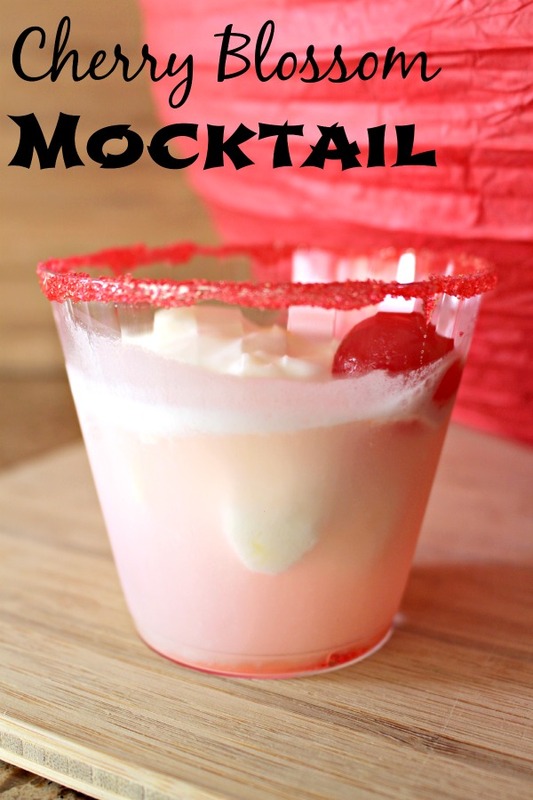 So THIS Cherry Blossom Mocktail is the perfect drink for a Mulan Party. The red sprinkle rim gave everyone a perfect little extra to make their drink feel special! 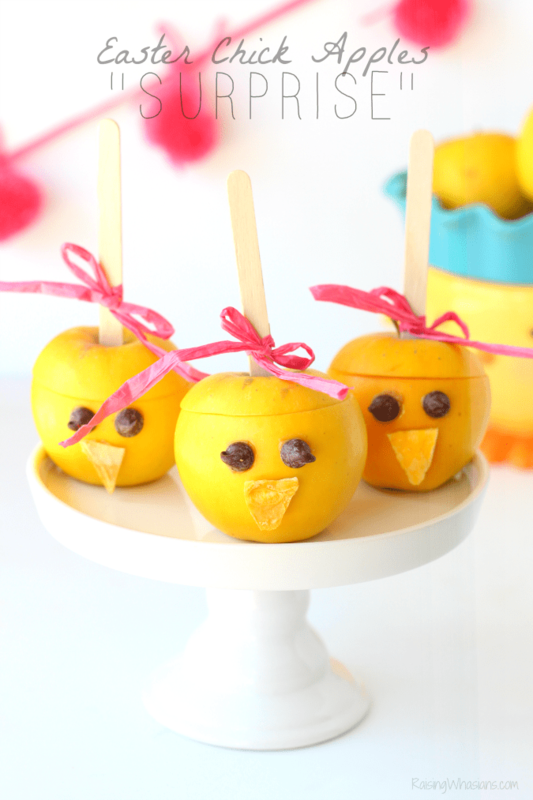 Food for little hands and little bellies, this Asian influenced snack food for the kids was a hit at the party! Little popcorn chicken is the perfect snack for a Chinese themed party! So easy! Just dip one end of the fortune cookie in chocolate. Immediately dip in sprinkles. Allow to dry. In Green Wraps, we placed layers of peanut butter, Fruit Roll Ups and jelly. Roll up and cut into bite sized pinwheels. A sweet dessert is always a good idea! 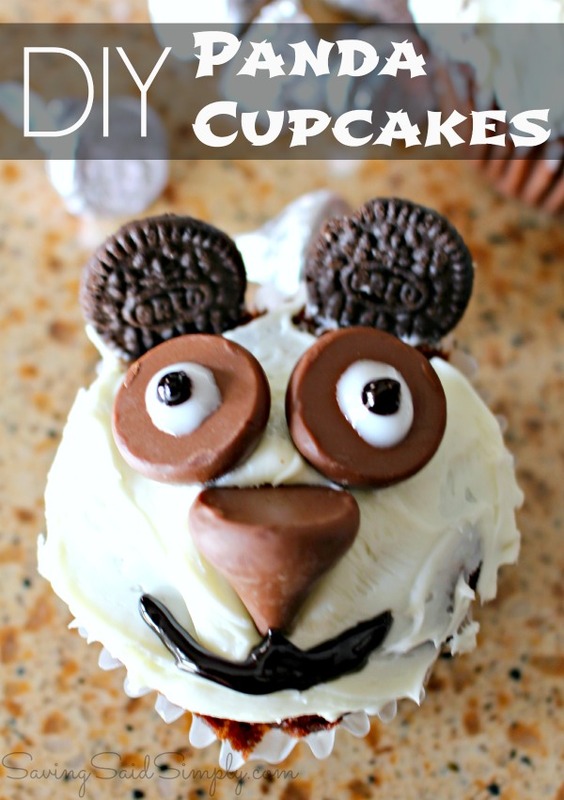 We had so much fun making these DIY Panda Cupcakes for the party! The kids LOVED them! 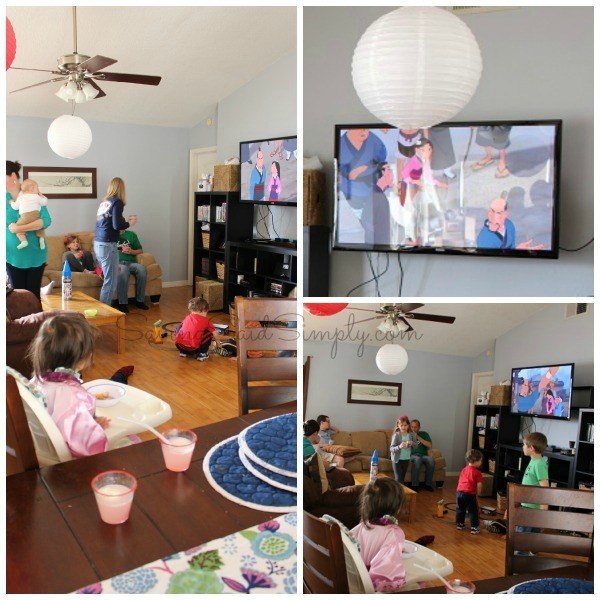 For a Mulan party, you have to play the movie! Kids and adults were loving getting into the show with an old time favorite. Remember Mushu? The most important part of having a fun Disney themed party is to make sure that everyone is having fun! 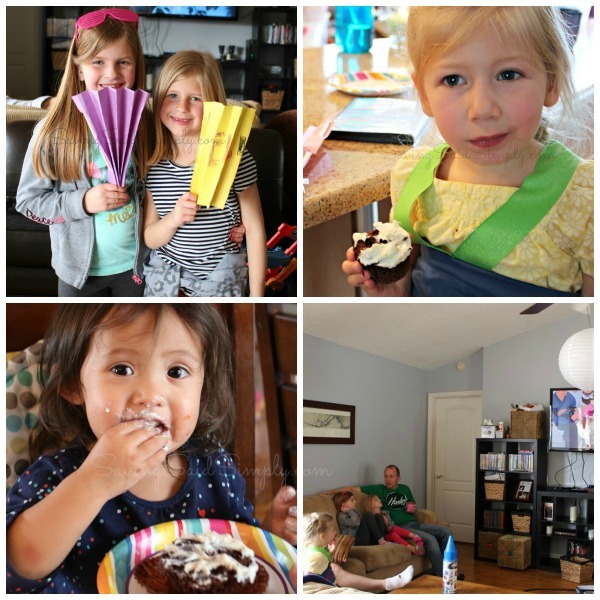 From good friends to great eats to fun themed decor, our DIY Disney Mulan Party was a big hit! 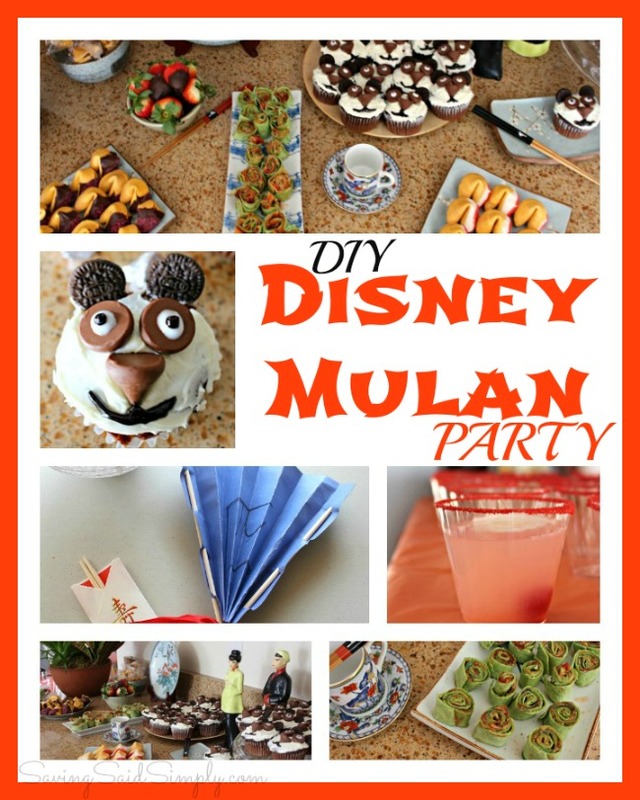 Looking for more great DIY Disney Party inspiration? 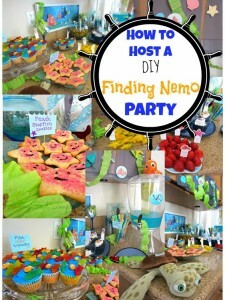 Be sure to check out my DIY Finding Nemo Party from last year, still one of my most popular posts on my site! Disclosure ~ I received a free MommyParty Disneyside party pack in exchange for this posting. All opinions are my own. Be sure to follow Raising Whasians via Facebook, Twitter, Google, Instagram, Pinterest and YouTube for more reviews, giveaways and more. You had such a great party. I love that you chose Mulan, who has been out of the spotlight for a while. It looks like you had a great party. The Panda cupcakes are so cute and I bet they were yummy. My daughter requested that her grandmother make her a Mulan costume this year. It’s seriously adorable! 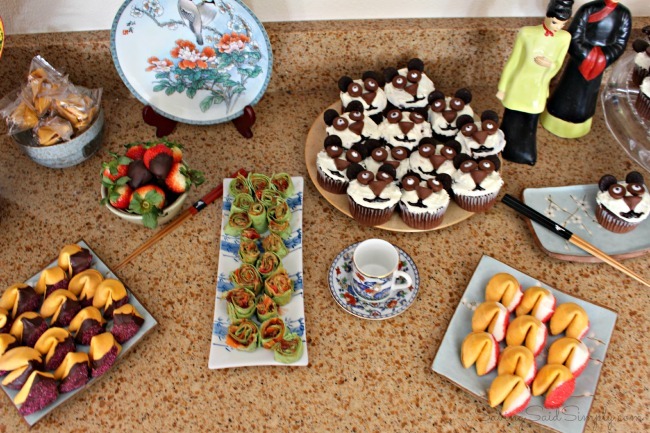 I know she’d love to have a Mulan-themed party like this one. What an adorable theme for a party! The food is my favorite part, with the chocolate dipped fortune cookies and the PB&J sushi! That’s the cutest! Mulan was one of my favorite Disney movies. How much do I love this!? I am pinning to my Disney board and my Party Themed Board. You did a fantastic job with everything! I love the decor, and those cupcakes are adorable!! I love Mulan! Those panda cupcakes are adorable! Wow everything looks amazing! That panda cupcake is way beyond cute! Great party ideas! Those fans are so cute. Loved the Panda also. Great layout for party. I love all of your decorations and food. The food looks so yummy and the panda cupcakes are to cute!!! Mulan is such a great movie and I just adore all of the touches you brought to this themed party. 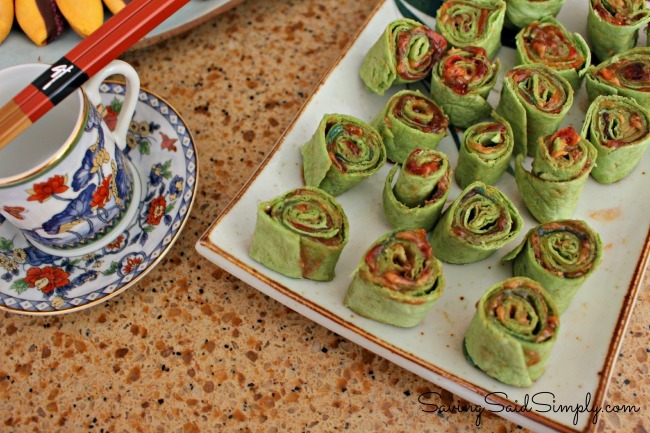 The faux sushi wraps and spruced up fortune cookies would definitely be a favorite for my kids! You did a great job. I bet everyone did have a good time, and your eats are so so cute! What an awesome themed party! 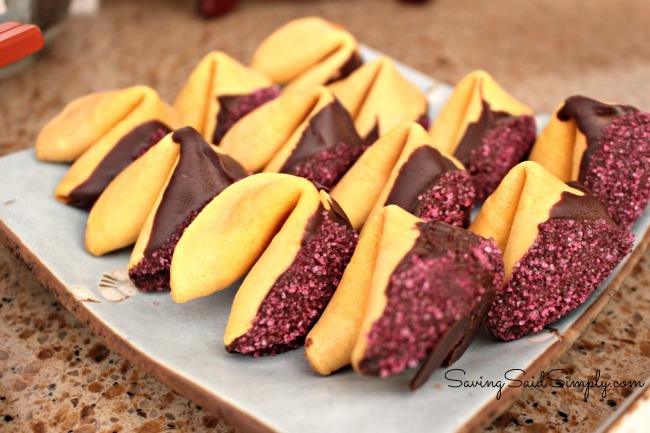 My kids would love if I made those fortune cookies, or cupcakes! Mulan is a family favorite. I love the panda cupcakes. Oh my goodness. I am so in love with this idea! I love it so much and hope to utilize it for my niece someday ….. because this would just ROCK! You are very creative, my parties are not like this, not by far! Awww, this looks like soo much fun. Great idea! Mulan is one of our favorites. Aww. This is so cute! I think this will be a great idea and super fun! WOW! what an amazing work you did putting all this together, I was really happy to see all the cool looking decorations you did , and the snacks looked very tasty! What a wonderful fun Party! 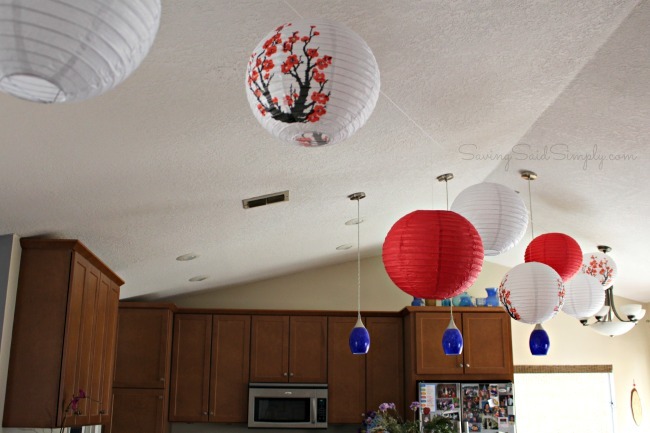 You really went out of your way to make everything perfect for you Mulan Themed Party! The fans you made were awesome along with the adorable Panda Cupcakes.I would love to try a Chinese chocolate dipped cookie! Yum! Them wash it down with your cherry Blossom Mocktail drink! Thankyou so much for sharing your awesome party with us.